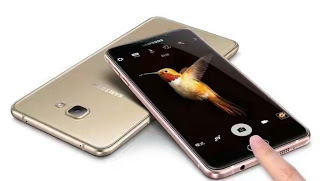 Samsung Galaxy C5 Pro has been officially launched. It runs on Android 7.0 Nougat straight out of the box, features a fingerprint sensor, 4G LTE enabled, packs 4GB RAM + 64GB inbuilt memory. Samsung Galaxy C5 Pro sports 5.2 inches display and it's powered by Qualcomm MSM8953-Pro Snapdragon 626 processor and features 16 megapixel camera shooter both at the back and front. Here is the full specifications of the phone. At this age and time, you people are still sticking to wack battery. Good specs. Wack battery. And mad expensive. Totally Samsung. Not for me.